President Muhammadu Buhari said Tuesday 05 January, 2016 in Abuja that his administration will look inwards, enforce regulations to stop financial leakages and adopt global best practices in generating more revenue to mitigate the effect of dwindling oil prices on the Nigerian economy. We have just come out of budget discussions after many weeks of taking into consideration the many needs of the country, and the down turn of the economy with falling oil prices and the negative economic forecasts. “We are working very hard and with the budget as our way forward, we will do our best to ensure that our country survives the current economic downturn. 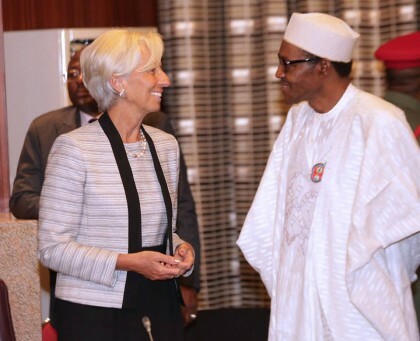 “We have also told all heads of Ministries, Departments and Agencies of government that on our watch, they will fully account for all funds that get into their coffers,” President Buhari told Ms Lagarde. The President said that the Federal Government was reviewing its operational costs and had directed all the Ministries, Departments and Agencies to cut down on their overhead costs. President Buhari said the Federal Government will welcome the technical support and expertise of the IMF for its plans to diversify the Nigerian economy and further unleash its growth potentials. In her remarks, Ms Lagarde said that the IMF will be willing to assist the Federal Government in plugging revenue leakages, tracing stolen funds and restructuring its tax system. 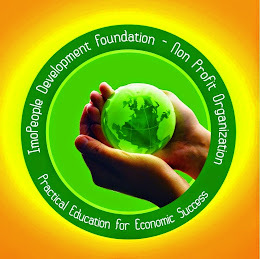 She said that Nigeria had all the potentials to overcome the current economic challenge of falling commodity prices without resorting to the IMF for financial support.